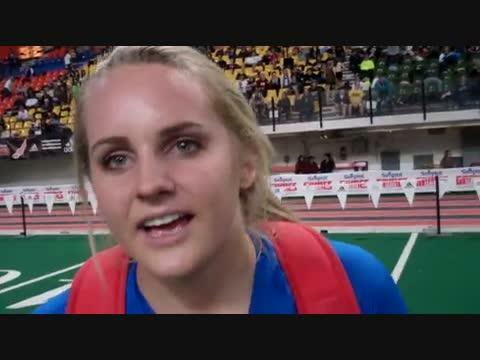 This week our athlete spotlight features Emily Rich from Bingham High School. Rich won the 5A state championship this fall in cross country. In the 2012 track season she also anchored the winning sprint medley relay team. 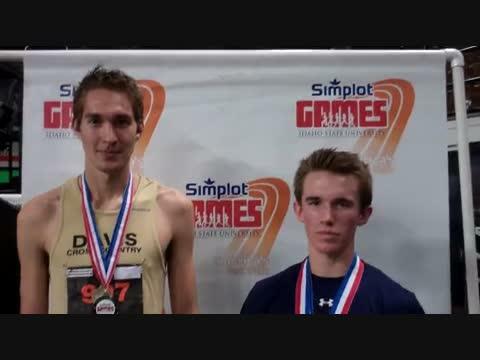 Rich is coming off of a solid showing at the Olympic Oval, running an indoor personal best in the mile of 5:06. 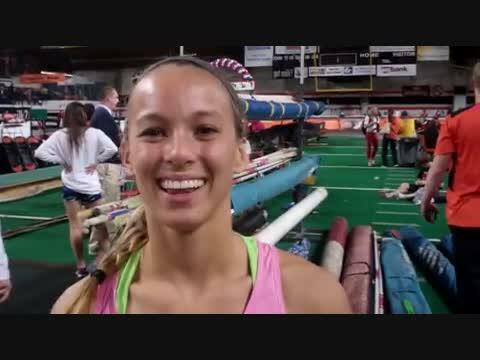 Rich is getting ready for the Simplot Games where she will again run the mile. Next year, she will join her former Bingham teammate Laura Young at BYU. Tabor Scholl (pic by Mike Roberts) Josh Whitener & Avana Story won the weight throw, while distance runners qualified for Saturday's finals. Dior Hall & Trinity Wilson zipped through the 60 Meter Hurdles with national class times to lead Friday qualifying action. Indoor track and field has been growing in Colorado the last few years. A growing schedule of meets is attempting to keep pace with the demand. Colorado Track XC file photos. 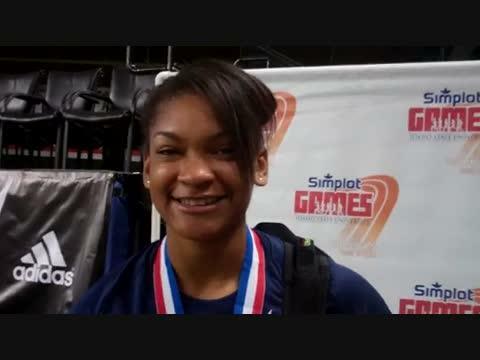 National leader sophomore Chyna Ries of CO who broke 20' last weekend jumped 19' 6" to win the girls long jump. National leader junior Devin Field of Lancaster HS in TX leaped 24' 2.5" to win the boys long jump by more than one foot. He also won the 60 hurdles with a time of 7.83 which was faster than the national leader going into today. Sophomore Ariana Washington of LB Poly in CA easily won the girls 200 with a time of 23.83 which breaks the national leading mark as of today. National leader Torie Owers of GA representing Throw1deep did just that with a toss of 48' 10" to win the girls shot put by nearly 5 feet. 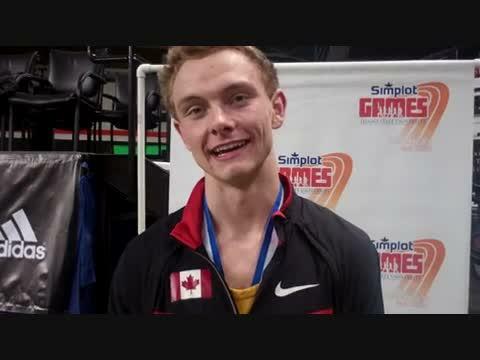 Tyler Smith of the Leduc Track Club in Edmonton, AB, won the boys 800 by over 2 seconds with a time of 1:49.46 and broke the meet record. Strymar Livingston of Christopher Columbus in NY was the runnerup with a time 1:51.90. Dallin Farnsworth of Highland HS in ID won the 3200 with a time of 9:10.36. This breaks the record of Josh Rohatinsky set in 2000. This article will be periodically updated as new results are received. Kirk Webb takes thrid place on the podium for the 800 meters. 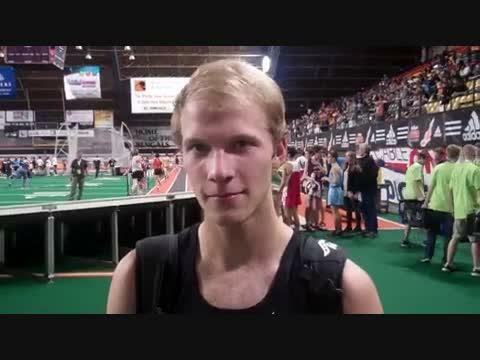 The winner of the event, Tyler Smith of Canada, ran 1:49.46. Contributed photo. 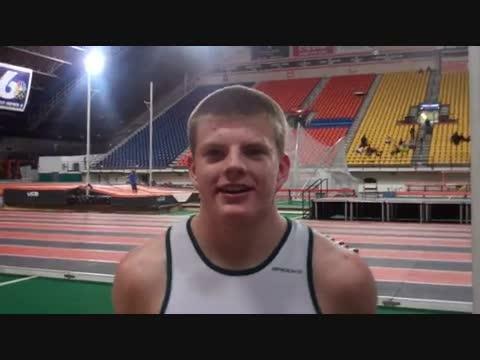 Dallin Famsworth gave the home crowd something special to cheer about. 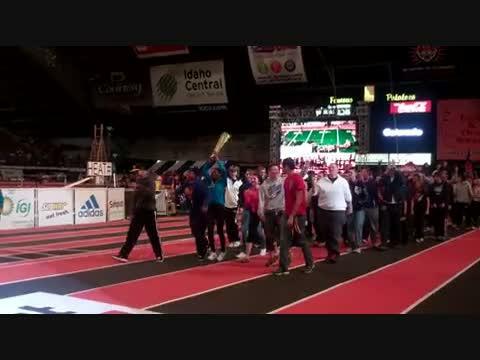 It's almost time for the Simplot Games to begin and the Utah contingent appears ready to breathe some fire into Holt Arena. You don't have to look long at the list of Simplot entries to find a lot of Colorado names who could do some serious damage before the weekend is over. 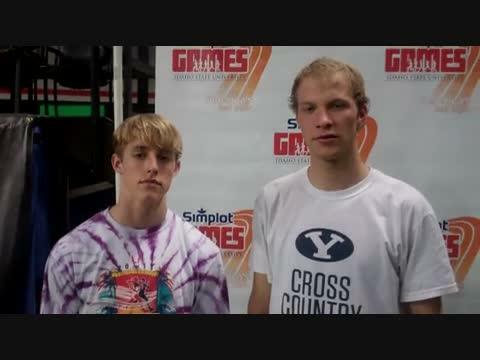 Dallin Farnsworth, Kelsey Braithwaite, Hannah Cunliffe & Erik Harris are just four of the athletes, who will compete at the Simplot Games this weekend. Tyler Smith won the 800M in 1:49. Dallin Farnsworth & Elijah Armstrong, who went 1 - 2 in the 3200M discus their race.